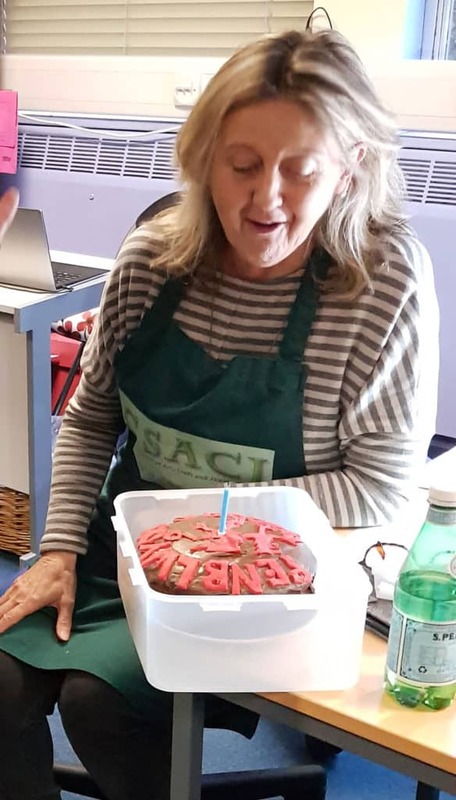 Having a creative birthday party is a wonderful way for groups of friends and families to get together, have some fun and go home with some lovely jewellery and great memories of a happy day together. 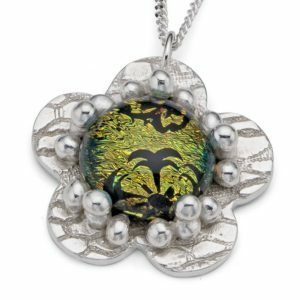 Classes that are perfect for this are our Beginners Metal Clay Taster class (three hours), the Beginners Metal Clay class (one day) or the Capturing Nature class (one day). Contact the school to discuss your requirements and arrange a date for your party. Getting together with a group of friends and family for a jewellery making class will make a lovely addition to your pre-wedding celebrations. 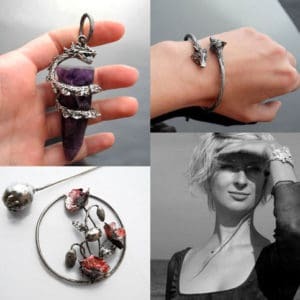 In addition to the pieces of jewellery made on these classes, we can provide a sterling silver bracelet onto which all members of your party can add a charm for the bride. This makes a lovely memento of the day. Any of our classes or courses can be booked for groups of up to 12 people. The shorter, half-day or one-day classes are great for groups and give your party a fun and creative event. The School is open year round and runs classes during the week or at weekends. You can block book a scheduled class for your party – as long as it has no public bookings already – or contact us to request a specific date. Call or email the School to discuss your requirements and agree a date for your event. A non-refundable deposit of £100 is required to secure the date or you can pay the full class cost if you know the size of your party. If you are not sure how many people will be coming, you can confirm the final number at least seven days in advance of the class date. When you confirm the final number, full payment is required. Full payment must be made at least seven days before the agreed date for your event. Payment can be made by BACS or card, we don’t accept cheques. 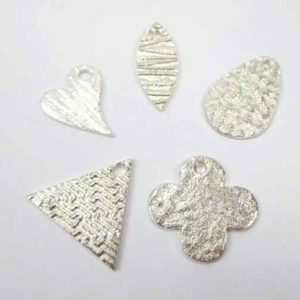 The Beginners Metal Clay Taster class is half a day and normally runs from 10am-1pm. The other two classes are full days and run from 10am-5pm. They are both suitable for complete beginners. All these classes teach torch firing of the metal clay pieces. In the interests of health and safety, groups of more than six or seven people or groups of children under 16 will not be able to use torches to fire. Pieces will be fired in the kiln and then everyone will be able to polish their pieces. What is Included in the Class Cost? All materials are included in the price as detailed on the class pages. This includes enough fine silver metal clay to make the projects taught in the class. You don’t need to bring anything with you for the classes, we provide everything you need. Tea and coffee are provided. Bring lunch if you are coming for a full day class. What Additional Things can the School Provide? 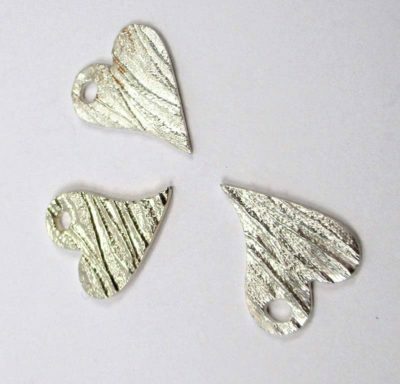 Members of your group can buy Sterling silver ear wires, chains and jump rings to turn their creations into finished pieces of jewellery or simply take the pieces they’ve made home to hang themselves. We also have a small shop that allows people to buy tools or extra clay to take home and continue to make their own jewellery. We accept cash or cards from students at the School. 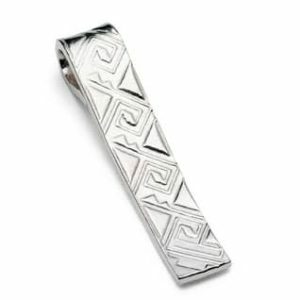 If you would like to make something special for your guest of honour, we can provide a Sterling silver bracelet for an additional cost. This allows each member of your party to make a charm to be hung on the bracelet as a unique gift for your bride-to-be, birthday girl etc. Yes of course. If you are coming for a full day class, bring along your lunch and maybe some fizz for a toast. We have a small fridge and a microwave which you are welcome to use. Birthday cake – or any type of celebration cake – can be brought along too. We have plates, knives, forks and spoons in the studio but do feel free to bring along your own if you prefer, together with serviettes etc. Parties of up to six will be torch firing their pieces so if you are bringing alcohol, think in terms of one glass per person at lunch time. Health and safety are our prime concerns and we want you to have a safe and happy experience. We reserve the right to withdraw torch firing if we feel anyone might be a danger to themselves or others. Pieces can be fired safely in the kiln in this case. What is the Minimum Age you Take? 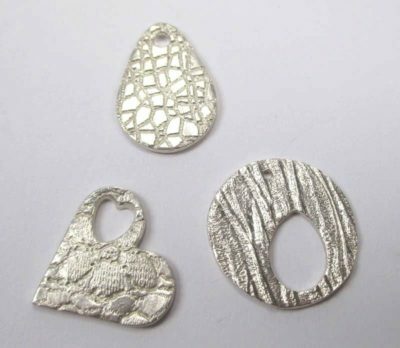 Accompanied children aged 10 and over can attend the Beginners Metal Clay Taster class only. In this case, no torch firing will be undertaken, everything made will be fired in the kiln. There must be a ratio of one adult to every three children.